Which Are a Landlord's Property Care Responsibilities? It is the landlord's responsibility to be sure renters have somewhere to put their garbage. The dimensions and number of those trash bins must be suitable for the number of tenants in the property and the number of occasions trash is collected per week. Many towns will also require landlords to build some sort of enclosure round these garbage receptacles. Reach out to the town to learn about these requirements. Every renter has to be able to get running water inside their rental unit. Including access to a functioning toilet, shower and sink. A working water heater should also be set up so that the tenant has the ability to get hot water. 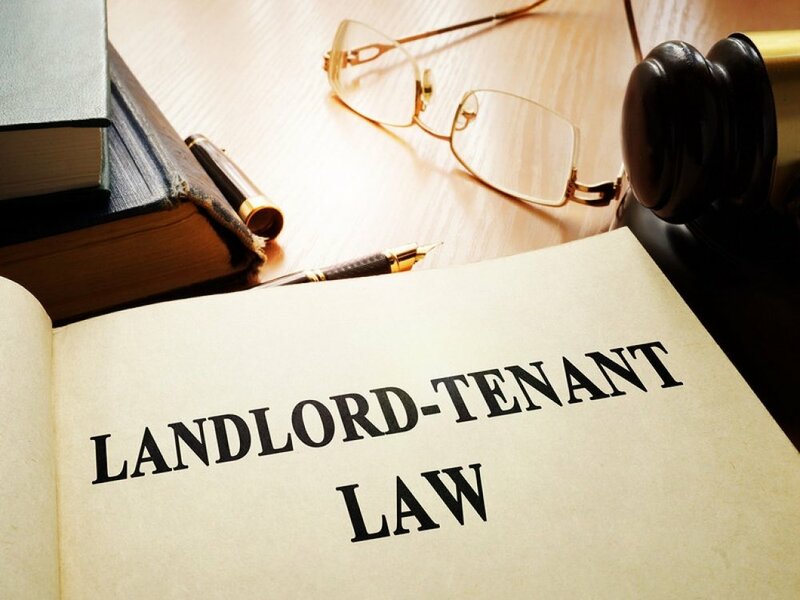 Landlords must offer a safe and healthy environment for their tenants.There are prerequisites for how many renters can live in the house, placement of smoke and carbon monoxide detectors, plumbing work, electrical work, structural integrity of the house, mold problems , lead paint issues, asbestos problems and pest infestation . Landlords should keep common areas clean with functioning and proper lighting. They must also be safe. Any stairs need to have a stable banister. Any flooring that could cause a tripping hazard has to be fixed. Landlords should make reasonable repairs to keep the house in habitable condition.If a fix is necessary because of a tenant's neglect or abuse, the landlord may charge the renter for the cost of the fix. A landlord must be certain all heating, plumbing, electric, gas and supplied appliances are in working order. If a renter is liable for paying their own utility bills, then it is the tenant's responsibility to pay their invoices so that their services, such as electricity and heat, are not turned off. Tenants are required to properly dispose of their garbage, not let it pile up in their apartment. Excessive garbage could create a health issue. The tenant should keep the unit at a reasonably clean and sanitary condition to prevent pest infestation and breathing issues. Tenants should make certain all emergency exits are accessible. Nothing could be obstructing any of those emergency exits. Tenants must also follow the appropriate building and housing legislation. If the tenant has signed a lease for two people, they cannot sneak extra people in to reside in the house. Not only is that a fire and security issue, but in addition, it generates more wear and tear on the house and probably higher utility bills, which may be an additional problem in the event the landlord would be the one paying utilities. Tenants are responsible for preventing excess moisture from accumulating in their own unit which could cause mold growth. If the tenant notices any areas of prolonged moisture or mold beginning to appear, they will need to report it to the landlord immediately. For property constructed before 1978, landlords may require tenants to contact them for permission before the tenant does anything which could disturb potential lead paint. This may consist of repainting the property or even drilling into a wall to hang a tv. Plumbing Fixtures: Tenants should keep all plumbing fixtures reasonably clean to prevent rust, soap scum buildup, mold or excessive contamination. All these fixtures must also only be utilized for their intended function. As an instance, garbage can't be flushed down the toilet and cooking grease should not be put down the shower drain. Landlord Supplied Appliances: Tenants should keep all landlord provided appliances in a reasonably clean state. They can't allow excess dirt to build up on and around stoves or rotting, spilled food to damage the refrigerator. These appliances should only be used for their intended purpose. For instance, the tenant should not use the dishwasher to wash their tennis shoes. Not Damage the Home: Including inside the tenant's unit, as well as in all common areas of the property. Normal wear and tear on the device is anticipated, but damage, like a cracked counter-top is not. In addition to the duties tenants have, you will find additional ways that your tenants can aid with home maintenance. These tasks could be agreed upon individually between you and your tenant. In exchange for the additional care responsibility, a landlord will frequently offer a tenant a rent reduction. Depending on the total amount of additional responsibility the tenant is taking on, you can negotiate to reduce the tenant's lease by a certain amount. Since lease is typically due at the start of the month, rather than letting the tenant pay less before any work was done for the month, you can offer a credit toward the next month's lease after the renter has shown they've completed the agreed upon duties. The quantity by which you will reduce the rent is a number that you and the tenant must consent to. For example, if the renter is carrying out the garbage for the property, you might feel that a rent decrease of somewhere between $20 dollars and $50 dollars each month. 1. Seasonal Maintenance: You can negotiate with your tenants to perform seasonal maintenance tasks. These usually have to perform with the outside of the house. You do have to be aware that as the property owner, you are still liable for any drops and falls in the home. If the tenant does not do a good job shoveling snow and a person slips on the ice, it is you, the landlord that will have to take care of a potential lawsuit. 2. Take Out Garbage: You can negotiate for a renter to take out the garbage and then bring the bins back when the garbage was collected. This is particularly helpful if you do not live close to your rental home. 3. Keep Common Areas Clean: The renter could be responsible for maintaining all common areas of the property clean. This may consist of vacuuming, sweeping, cleaning and maintaining the area free of debris or garbage. 4. Report Problems Immediately: Among the most effective ways that renters can help with property maintenance is to report anything that seems like a problem to you instantly. Since they are the individuals who are living at the property on a day to day basis they could be able to spot potential problems more quickly. It is better for you to take a look at the situation, rather have it be a false alarm than to find a problem a year later, when it has come to be a major issue. 5. Perform Repairs: You and your tenant can come to an agreement that the renter is responsible for making minor, or perhaps important, repairs if you feel comfortable with their ability level. This could be risky, so you might only feel comfortable if the renter has an actual license to perform such work, such as a tenant who's a licensed plumber fixing a leaky sink or a licensed electrician fixing a faulty lighting. It is the landlord's duty to make repairs in the rental home or to have these repairs performed. You can't put a clause in your lease which compels a tenant to be responsible for all maintenance and repairs in the property. It is not the same story if you and the tenant mutually agree that the tenant is responsible for performing certain repairs and maintenance. When a repair is necessary as a result of harm or negligence of the renter, then , it's the tenant's responsibility to have the issue fixed. The landlord can have the problem fixed and then charge the tenant or the tenant can hire someone to repair the problem .